A full color, hardcover collector’s edition of the landmark webcomic. Years in the past, but not many, a webcomic launched that would captivate legions of devoted fans around the world and take them on a mind-bending, genre-defying epic journey that would forever change the way they look at stairs. And buckets. And possibly horses. 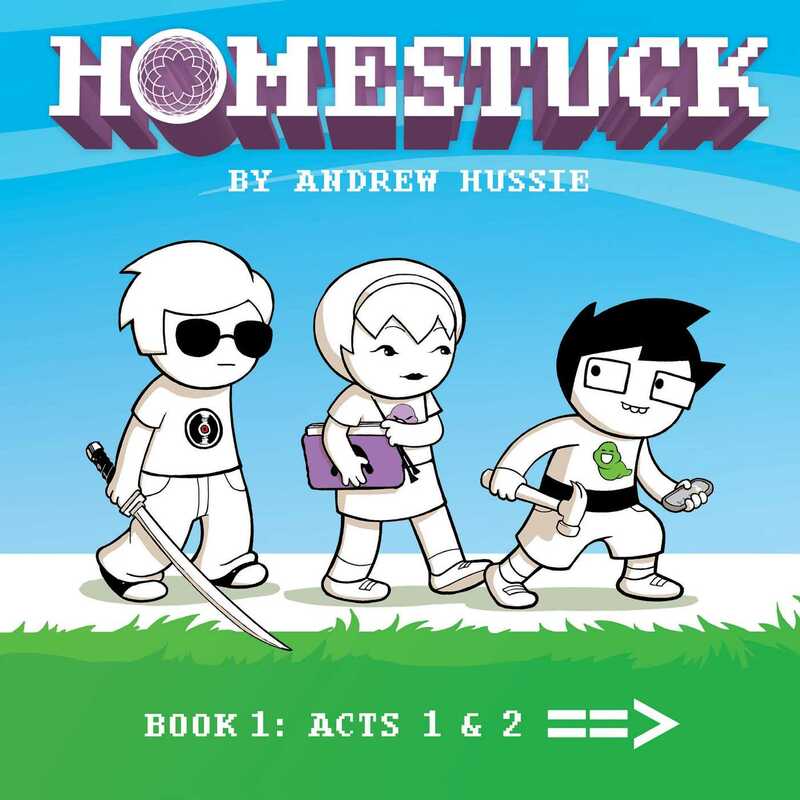 Now this sprawling saga has been immortalized on dead trees with notes from author Andrew Hussie explaining what the hell he was thinking as he brought this monster to life. A must-have for Homestuck fans who want to re-experience the saga or for new readers looking for a gateway to enter this rich universe. A young man stands in his bedroom. It just so happens that he’s about to embark on an adventure involving birthday cakes, magic chests, hammers, arms (detachable and otherwise), harlequins, imps, eccentric architecture, movable home furnishings, bunnies, and a video game that will destroy the world.